In 1847 Petr Pavlovich Doroshin, a geologist with the Russian-American Company, searched for Alaskan resources for export besides furs and ice. After minimal success in finding gold, Petr was ordered to search for coal. He surveyed nine locations for possible coal mining. Upon his return to Russia in 1853, he identified one location, Port Graham Bay, as the best. It would be up to a newly hired Finn to develop the mine. The knowledge that there was coal in Port Graham Bay was not new. In 1786, Nathaniel Portlock, a veteran of Captain Cook’s third Pacific voyage, sailed the coast of Alaska looking for furs to trade in Macao. On the Kenai Peninsula he found coal which he published in a journal. Alexander Baranov tested that same coal for feasibility in smelters, back when Aleksanteri Kuparinen was on Kodiak Island, but mines were not developed. It wasn’t until Doroshin’s report that the coal in Port Graham Bay was developed. 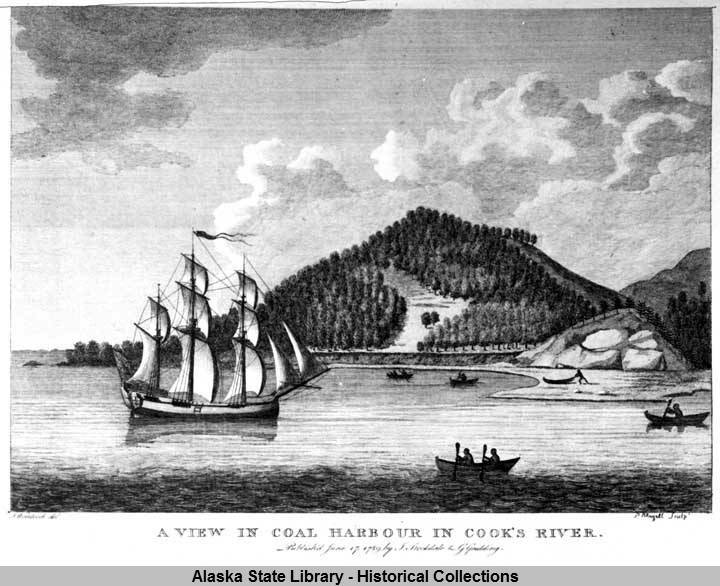 A Finnish engineer for the Russian American Company, Enoch Hjalmar Furuhjelm, opened the coal mine in Graham Bay on the Kenai Peninsula in 1855. The place was named Coal Cove. Furuhjelm was an accomplished engineer developing mines in the Urals. His brother was Johan Hampus Furuhjelm, who became Chief Manager of the Russian-American Company in 1859. Furuhjelm arrived in July 1855 with two German coal miners, a store keep, surgeon’s aide, 16 soldiers who “hardly knew how to hold an ax” and 25 “hard-drinking good-for-nothings that the Company had enticed to come from St. Petersburg and Siberia” (Mostly Russians, Finns, Yakuts, and Koniags). During the Great Northern War (1700-1721) many defeated Finns were marched in groups through Moscow on their way to Siberia. The Finns headed to Coal Cove could have been from these groups often called the “unfortunate ones” by the Russians. The mine started as an open pit mine. A layer of coal nine to twelve feet thick was found fifty feet below the surface. The following year they delivered 800 tons of coal to San Francisco. With the construction of a water raising and discharge shaft in 1857, the miner would dig a vertical shaft 180 feet deep. The shaft when through five seams of coal, each five to nine feet think. Late to market coal in California, almost all of the coal was used on company steam ships and workshops in Sitka, Alaska. When Furuhjelm left in 1862, 80 to 90 people lived in Coal Village. At its peak it was the third largest site of Russian Americans in Alaska. In addition to the mine there was several other buildings; a warehouse, engine lathe, sawmill, foundry, blacksmith shop, two stables, a church, kitchen, 20 various dwellings and some sheds. The mine produced total 27,000 tons of coal. In 1865, the site was abandoned after it was no longer profitable to maintain. Coal had been found in British Columbia, Oregon, and California. Doroshin’s reports on gold and copper went ignored and two years later, Alaska was sold to the United States.